Yes Directioners stand by! The video for One Direction's new single 'Live While We're Young' has leaked online ahead of its official release. However the video has now been swiftly removed from the internet after fans began tweeting about it. Though for your viewing pleasure we were able to grab some shots of the video! 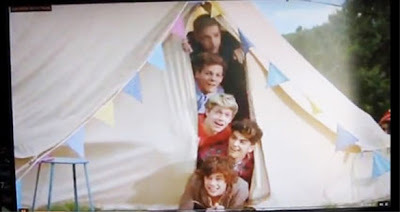 The lads appeared to be frolicking in a giant paddling pool, as well as messing about on a trampoline while continuing the party to a teepee, hay bales, a huge inflatable banana with of course a group of gorgeous girls. The video was shot in the Kent countryside, and 1D ended up soaked to the skin, though only Niall Horan stripped off to reveal his toned stomach. 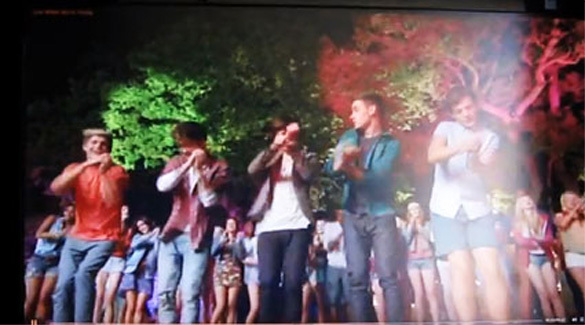 Niall tweeted on the day: "We have literally just finished shooting the video for 'live while we're young' ur gona love it! It was soo fun to shoot!" He added: "Wow its chuckin it down! And we stuck shooting in it! By the way, super excited for u to see the video! Its gona be cool (sic)." Harry Styles also took to the social network after the shoot, writing: "Great day shooting for the music video for 'Live While We're Young' bit nippy..." He added his appreciation for those he was working with, writing: "Amazing crew, amazing people." 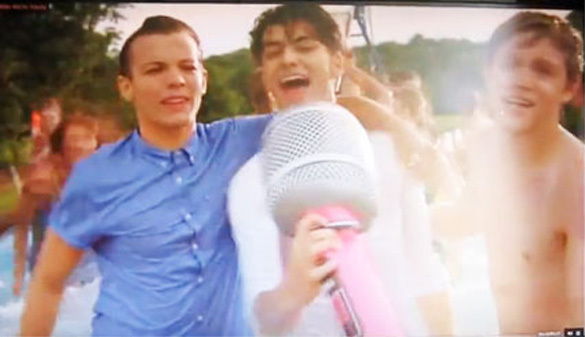 Directioners across the world will no doubt be salivating in anticipation for when the vid comes out, 'Live While You're Young' is already the best selling pre-order single in history. The track is set to be released on September 30 and is said to be 'an uptempo track'. 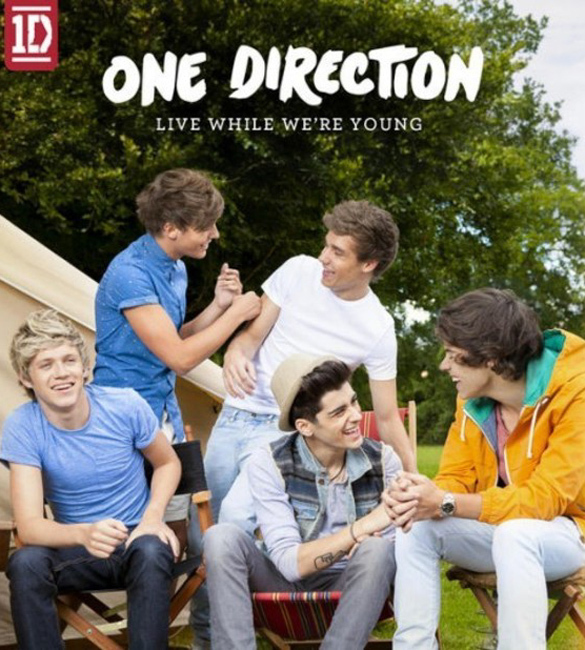 'Live While We're Young' is the first track to be taken from the boys' second album 'Take Me Home', scheduled for release on November 12th.